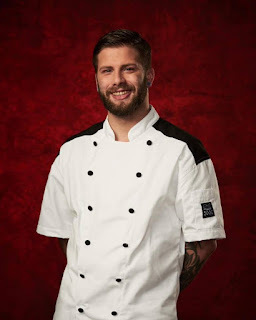 Hell's Kitchen Season 18 Where Are They Now? 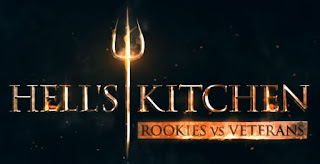 Hell's Kitchen Season 18 Rookies vs Veterans aired September 28 2018 on Fox Network, there were 16 contestants and the prize for the winner was an Executive chef position at Hell's Kitchen Restaurant at Caesar's Palace in Las Vegas, Nevada. Find out what the Hell's Kitchen season 18 contestants did next after appearing on Hell's Kitchen with Gordon Ramsay. Hell's Kitchen season 18 where are they now? Ariel Contreras-Fox was from Brooklyn, New York, is a veteran contestant and competed in season 6, where she finished in 3rd place. 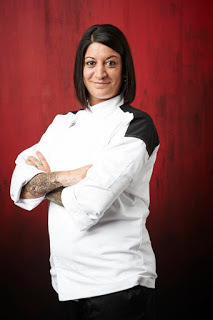 Ariel Contreras-Fox was the Hells Kitchen Season 18 winner due to her tremendous growth since her original appearance on Hell's Kitchen. She proved her talent, leadership and determination throughout and offered runner up Mia a position. After the show, she will take up position as Executive chef position at Hell's Kitchen Restaurant at Caesar's Palace in Las Vegas, Nevada. 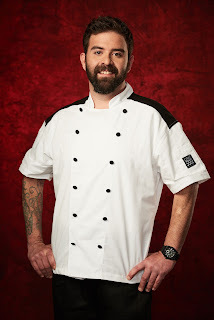 Bret Hauser was from Fort Lauderdale, Florida, is a veteran contestant and competed in season 14 but left Hell's Kitchen due to an injury. He was eliminated in episode 15 but Gordon praised him for his passion and allowed him to keep his jacket. After the show, he was arrested in November 2018 for trafficking of synthetic products, possession of marijuana, and possession of drug equipment. He featured in an article on lifestyle magazine Palm Beach Cannabis and as a Cannabis advocate this is hardly surprising he would have these items. 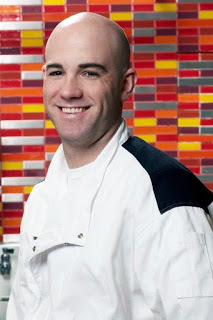 Chris Mendonca was an Executive Chef from Boston, Massachusetts and is a rookie contestant. Chris withdrew from the competition in episode 6 after realising his mental health was suffering in the process. After the show, he is Chef de Cuisine at Ward 8. 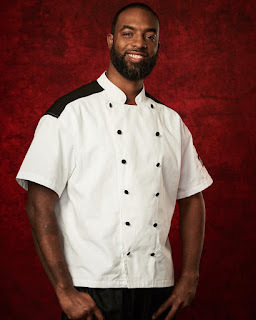 Chris Motto aka Motto was an Executive Chef from Baton Rouge, Louisiana and is a rookie contestant. He voluntarily left the show in episode 14 to take the culinary skills he had learnt back to his home town. He was praised by Gordon and allowed to keep his jacket. After the show, he returned to his role of Executive Chef at Mansurs On The Boulevard in Baton Rouge. 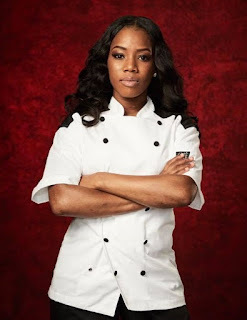 Elizabeth aka Gizzy Barton was a Former Executive Chef from Atlanta, Georgia and is a rookie contestant. 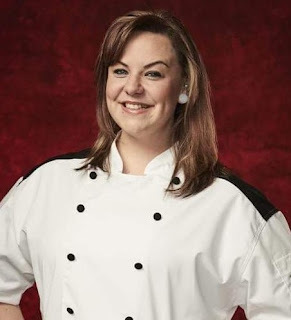 She was eliminated from Hell's Kitchen in episode 7 due to leaving the scales on her bass dish, her choice to sit out of the task and her waning confidence. After the show, she returned to her previuos role as Sous Chef at Ecco. Heather Williams was from Easton, Pennsylvania, is a veteran contestant and she competed in season 16, where she was runner up. She was eliminated in episode 13 due to her worsening performances, her excuses and not being as strong as her previous season. After the show, she is Executive Chef at Leaf Cigar Bar. Jen Gavin was from Chicago, Illinois, is a veteran contestant and she competed in season 4, where she came in 4th place. 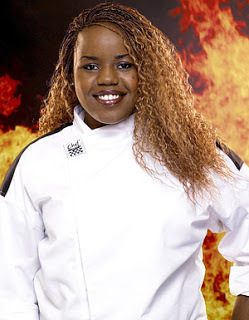 She was eliminated from Hell's Kitchen in episode 3 during the service after she exploded at Gordon and accused him on sabotaging her. After the show, she returned to her company Edible Passport where she offers cookery classes, catering and private chef services. She has expressed her regret for returning to the show as she agreed to it after she lost a lot of money when a food truck investment fell through. 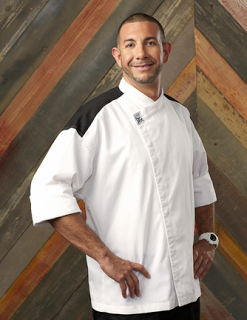 Jose DeJesus was a Chef de Cuisine from Bronx, New York and is a rookie contestant. He was eliminated in episode 10 due to allowing raw veal to be served and his poor leadership. After the show, he returned to his pop up dining experience Breaking Bread Kitchen. The most recent underground dining experiences were his Chefs Counter dining experiences. 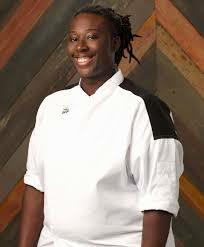 Kanae Houston was a Lead Line Cook from Los Angeles, California and is a rookie contestant. She was eliminated in episode 12 as she failed to get the final black jacket. She was praised by Gordon who believed she would have a great future in the industry. After the show, she is a personal chef and offers cooking classes through her company Always Homemade. Kevin Cottle was from Middletown, Connecticut, is a veteran contestant and competed in season 6, where he was runner up. 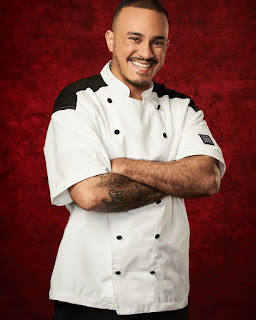 He was eliminated from Hell's Kitchen in episode 5 after multiple nominations. Gordon praised his achievements but believed he did not appear to have the same passion as in season 6. After the show, he returned to his previous role as the Executive Chef at Fire at the Ridge at Powder Ridge Ski Resort. 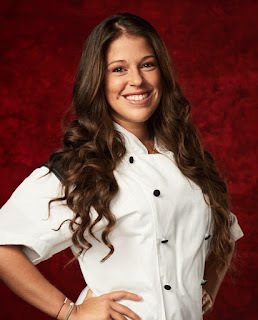 Mia Castro was a Private Chef from Miami Beach, Florida and is a rookie contestant. 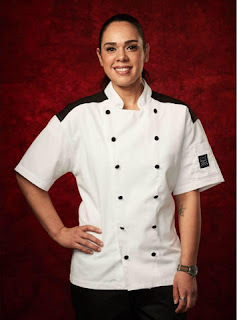 Mia Castro was the Hell's Kitchen season 18 runner-up, losing out to Ariel. Mia took her defeat with grace and was happy for Ariel, as they had grown close. After the show, she is a private chef and a food photographer. Roe DiLeo was from Dallas, Texas, is a veteran contestant and competed in season 13, where she came in 5th place. She was eliminated from Hell's Kitchen in episode 8 due to her poor performance on meat after serving raw steaks. After the show, she is Executive Chef at City Tavern. After the show, he returned to his position as Executive Chef at 5Church. 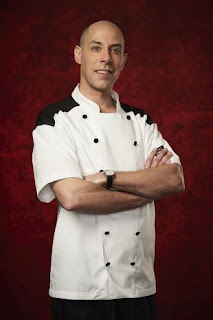 Scott Popovic was an Executive Chef from Cleveland, Ohio and is a rookie contestant. He was eliminated in episode 2 due to his lack of focus that saw him cooking the shrimp that was supposed to be cooked tableside. After the show, he is a Chef instructor at Polaris Career Center teaching culinary arts. Torrece aka T Gregoire was from Draper, Virginia, is a veteran contestant and competed in season 14, where she was runner up. She was eliminated from Hell's Kitchen in episode 6 due to her poor performances and failure to communicate with Heather. After the show, she has done a number of pop up dining events. Trevor aka Trev McGrath was from New York City, is a veteran contestant and competed in season 8, where he came in 4th place. He was eliminated in episode 11 for losing the respect of his team, failing to take the blame and his worsening performances. After the show, he is chef/owner at YooNeke, a catering company.